There were 6752 products found. Click a filter or one of skip to the next page. 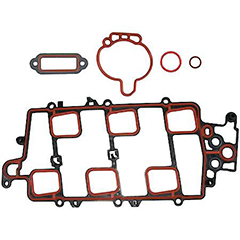 Dimensions of Packaging (HxLxW): 0.7"x 17.5"x9.25"
The FELPRO Gaskets Exhaust Manifold is designed to operate in either city or highway driving. Dimensions of Packaging (HxLxW): 1.76"x 17.813"x5.659"
The ALTROM Gaskets Exhaust Manifold is designed to operate in either city or highway driving. Dimensions of Packaging (HxLxW): 1.553"x 19.951"x6.701"
The ALTROM Intake Manifold Gaskets is designed to operate in either city or highway driving. Dimensions of Packaging (HxLxW): 0.7"x 21"x9"
The FELPRO Intake Manifold Gaskets is designed to operate in either city or highway driving. Dimensions of Packaging (HxLxW): 3.284"x 7.551"x4.237"
The ALTROM Head Bolt Set is designed to operate in either city or highway driving. Dimensions of Packaging (HxLxW): 1.158"x 24.752"x9.537"
The FELPRO Gaskets Conversion And Lower Set is designed to operate in either city or highway driving. Dimensions of Packaging (HxLxW): 1.207"x 24.011"x8.577"
The FELPRO Gaskets Head Set is designed to operate in either city or highway driving. Dimensions of Packaging (HxLxW): 1.75"x 23"x10.75"
Dimensions of Packaging (HxLxW): 1.439"x 23.588"x9.497"
The SEALED POWER Gaskets Engine Kit Set is designed to operate in either city or highway driving. Dimensions of Packaging (HxLxW): 1.537"x 23.442"x9.425"